The fossil found in volcanic ash deposits has been determined as an ancient crustacean new to science - a distant relative of the living lobsters, shrimps and crabs. LONDON: A 430-million-year-old fossil of a shrimp ancestor has been named by scientists in honour of famed British naturalist Sir David Attenborough. Researchers led by University of Leicester in the UK discovered the "exceptionally well preserved" fossil complete with the soft-parts of the animal, such as legs, eyes and very delicate antennae. "The biggest compliment that a biologist or palaeontologist can pay to another one is to name a fossil in his honour and I take this as a very great compliment," Attenborough said. Professor David Siveter from Leicester made the discovery working alongside researchers from the Universities of Oxford, Imperial College London and Yale, US. "Such a well-preserved fossil is exciting, and this particular one is a unique example of its kind in the fossil record, and so we can establish it as a new species of a new genus," Siveter said. 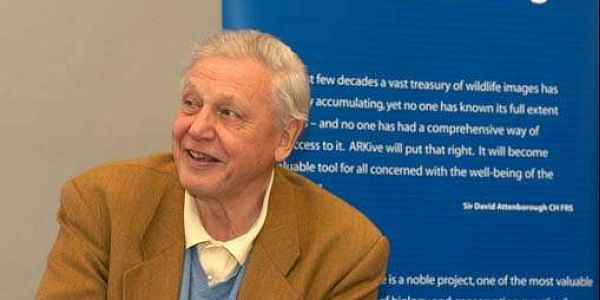 The fossil is named Cascolus ravitis in honour of Attenborough, who grew up on University College Leicester campus, in celebration of his 90th birthday, researchers said. Cascolus is derived from castrum meaning 'stronghold' and colus, 'dwelling in', alluding to the Old English source for the surname Attenborough. 'Ravitis' is a combination of Ratae - the Roman name for Leicester - 'vita', life and 'commeatis', a messenger. At least fifteen species and genera, both living and extinct, have been named in Attenborough's honour till date.